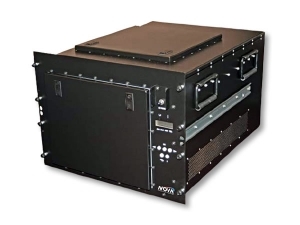 Model 1150 is NOVA’s flagship, military-grade color inkjet printer. Selected by Boeing for deployment aboard the P-8I Multi-mission Aircraft (MMA) aircraft, the 1150 was designed to and passed MIL-STD-461 EMC, MIL-STD-704 Transients, and MIL-STD-810 [Transportation] Shock, Vibration, Crash Acceleration, and Sand and Dust methods. 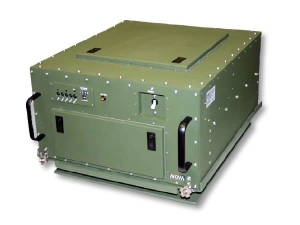 The 1150 uses the same Hewlett Packard 6988/6940 print engine as Model 1100, NOVA’s RCOTS sibling model. However, the 1150’s design is more robust and contains more MIL-spec components than the 1100. From a performance perspective, Model 1150 is rated at 36 pages per minute in black mode, and up to 27 pages-per-minute in color mode, and uses standard HP ink cartridges. Power consumption is approximately 172 Watts in sustained print mode due to its internal heating element that allow sit to operate down to -20°C. In Standby Mode, the 1150 draws a mere 5 Watts. Standard I/O interfaces include USB 2.0 and Fast Ethernet (10/100 Base-T). The USB port is pinned out to Amphenol’s popular “USBFTV” FIELD circular connector, a MIL-DTL-38999 Series-III connector; the Ethernet port is pinned out to an Amphenol “RJFTV” FIELD circular connector. 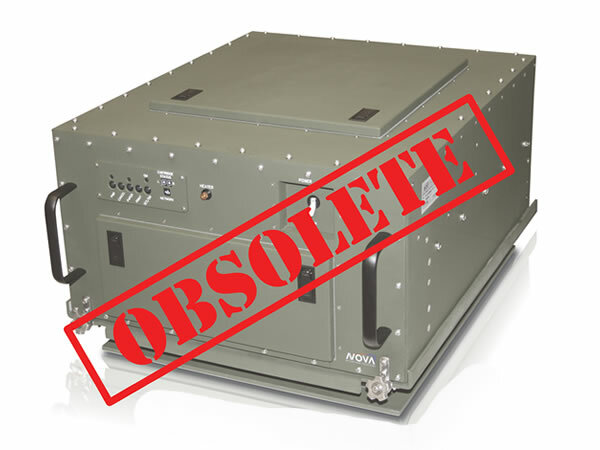 Continued availability of the HP engine and spare parts up to five (5) after their announced discontinuation is assured by NOVA’s EOL program. The Model 1150 is a MIL-Spec product and has passed all the following test. Rapid decompression MIL-STD-810F, Method 500.4, Procedure III from 8,000 ft.
up to 41,000 ft. in 15 sec. Note: Non-operating or storage conditions require ink and paper to be removed from print engine and properly stored until next use. Custom connectors including commercial grade panel mount available upon request.